How the concept of “The Cocktail Journey” came to be called back to the origin of how things in the universe are base on intersected and interconnected of forms and patterns. There are selected 13 sacred geometry forms the team has interpreted through myths and principles with distinguishes characters of 52 classic cocktails. Exclusively for you to experience a journey of origins through time. Almost like a testament to their style and a take on classics. These entries are how I experienced “The Cocktail Journey” with Q&A. Some small details of garnishes or tweaks in recipes may vary per customer. Nonetheless, the team makes sure to pay great tribute to all the 52 classics with an abundance of research and experiment over the years. Here’s some trivia time, If you pay close attention to the wall from the entrance, you will find small nameplates of cocktails going through years of creation. 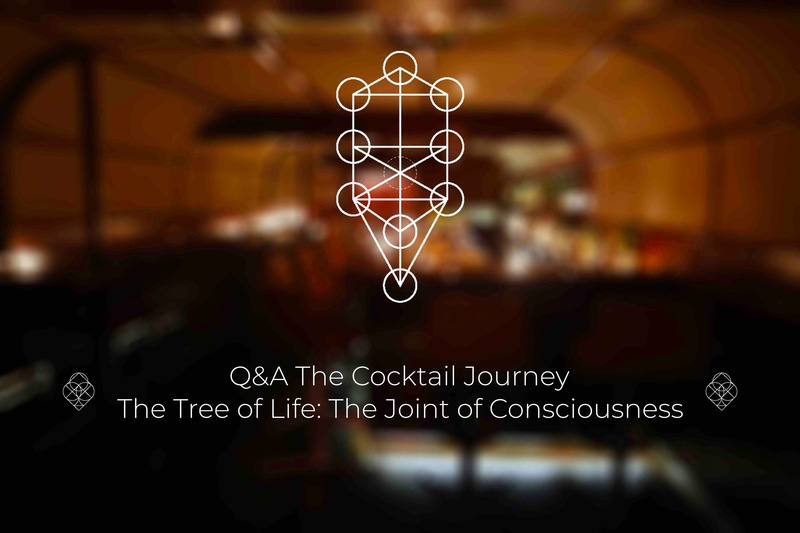 They believe the joy of intoxication that would take you down in your consciousness is no less similar to The Tree of Life. A pattern of relationship between conscious and subconscious and these cocktails could take you to other places. Words: The greets from Peychaud’s Bitters and Lemon pave ways for a light mouthfeel but full-bodied of Rye. Granting a medium-long finish that vanishes with lemon ends but not greasy. Words: Since they didn’t have Calvados, an improvisation mixture was required. A clear sign of fruits that has sharp sourness and develops into a wet and clean fruitiness. Words: Each sip of this light caramel with orange hue liquid has quasi-tropical touches from twists. A smooth of a tip of fruity sourness with Campari and unique buttery bay leaf scent. After time and more sips. It develops into bitter orange and silky sweet raspberry. Words: They don’t stock Coca-Cola. Making this one a bit of anticipation when a barman went to 7-11 to buys it. As always, he carefully and slowly built this one. Giving you a glass shunned with sharp lemon and hold on with sweet spices of cola. Creating slow layers that slow binds in all the spirits. Quite a sipper in disguise contradicts to what people are custom with feeling drunkness in the first sip. lucy and drunkards of east village. lost hours of elements of love. thanks @luishernandezdrinks for your hospitality! you know what to add to make it boil.